“O Lord, You have searched me, and known me. You know my downsitting and my uprising, You understand my thought afar off” Psalm 139:1-2. 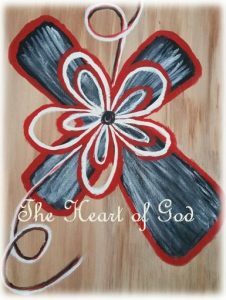 This week on Sharin’ Hearts Woman to Woman, Janie and Sharon tackle the three O’s of God’s character (Omniscient, Omnipresent, & Omnipotent) which are His natural attributes. The all-knowing, ever-present, power of God gives us confidence in His ability to work in our lives. “Where shall I go from Your Spirit? or where shall I flee from Your Presence?” David writes in Psalm 139:7. We can count on God to be with us at all times. God knows our thoughts even when we can’t describe how we feel. When situations and circumstances are beyond our control, we can trust God has the power to make everything work for good. It is important that we recognizing God in our life so we don’t reject what He has to offer. This week on Sharin’ Hearts: The Fireside Bookshelf, Ginger Green grabs “Full Assurance” by H.A. Ironside to explore. There is a saying “Peace at any price” but most will not adhere to the certainty of peace because it does have a price. The only one who can give full assurance of true peace says there are several absolutes for obtaining and enjoying the luxury of resting in your current circumstances and knowing joyful peace and calm. Our society has done away with absolute thinking and accepted our own truth for having peace. This leaves us on shaky ground. When doubts and fears arise to control our thinking and actions, our confidence in trusting anyone that offers peace with full assurance is dismissed as fantasy or out of date thinking. The Gospel message and the character of the Godhead are up for grabs as our logic and reasoning become our final authority and override the health manual of the Scriptures; as many regards that tool also out of date. Full Assurance, by Dr. Harry Ironsides, realigns our thinking based on facts in faith. These are proven certainties readers can discover in choosing Christ over the deception of the devil, or our fleshly desire. This is a fascinating read with many stories and applications for encouragement to step onto the path of peace for whatever holds you from FULL ASSURANCE. From getting out of darkness, being set free from torments, finding hope to grow, standing on a solid foundation and handling the crisis of unplanned trauma or loss that we all may face, but all the while having the confidence to be well pleasing in all we do is the theme of FULL ASSURANCE. 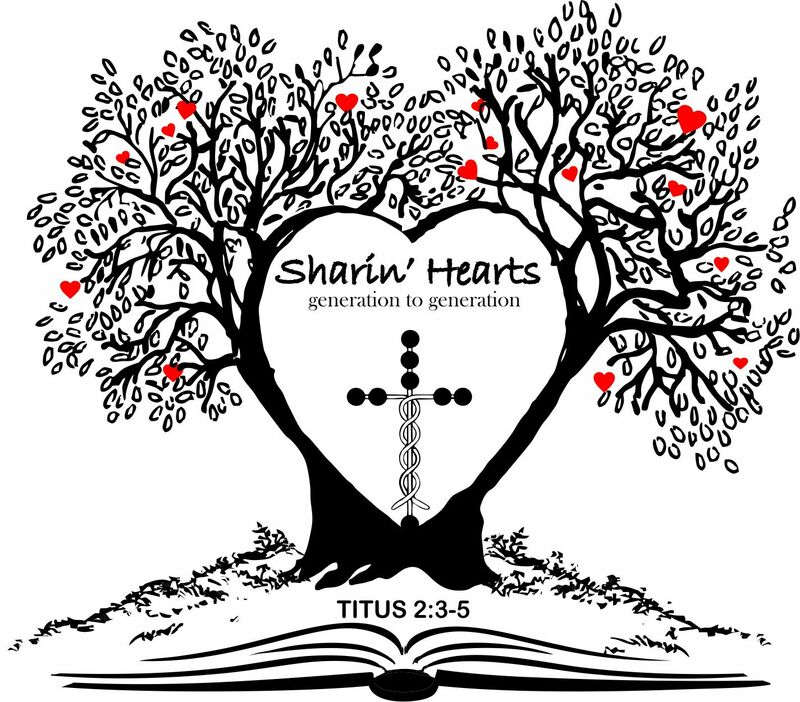 This week on Sharin’ Hearts Woman to Woman, Janie and Sharon discuss who God is according to scripture. We all tend to have an idea of who we would like for God to be in our lives but it is important to remember the truth of His real character. In relating to God as Father, most of us compare His qualities to those we have seen in our own earthly father. If he was distant, we see God as distant. If he was passive, we see God as passive; and so on. When we know what God looks like we are more likely to recognize Him when He shows up in our lives. We sometimes have a perception of God that does not match who God really is, so the truth about His characteristics can bring us into a closer relationship with Him. The relationship “test” is available to download. This week on Sharin’ Hearts: The Fireside Bookshelf, Ginger Green takes the book “9 Must-Have Conversations for a Doubt-Free Wedding Day” by Gary Thomas and Drs Steve and Rebecca Wilke and gives us an inside look. There are a lot of challenges in life but making and keeping a happy marriage is a rare art form. Less than 1% of marriages worldwide ever make it to the 50 year anniversary. Expectations for an intimate relationship most of the time are based on desires, personal needs and wants. When those are not fulfilled the pain and disappointments of living exposes our true character and independent personalities. People are not prepared to preserve and sacrifice for what they once held so dear. Having the RIGHT premarital counseling can establish the priority of any marriage and set the goals for a couple that will thrive and not just survive in a “me first” society. Marriage wasn’t created just to make us happy, but to merge two lives into one for the ultimate glory of God. Helpful hints from this book can make falling in love a life long passion for staying in love. 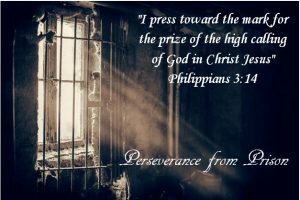 This week on Sharin’ Hearts Woman to Woman, Janie and Sharon continue in Philippians Chapter 3 where Paul is sharing perseverance from prison. Paul is saying that we can have something that is out of the norm here on earth if we are willing to go for the prize and the priority that Jesus Christ called us to. He also gives us warnings that it will cost us something to be in the race. There is a sacrifice that goes along with reaching the goal and receiving the prize. “That I may know Him, and the power of His resurrection, and the fellowship of His sufferings, being made conformable to His death” Philippians 3:10. This week on Sharin’ Hearts Woman to Woman, Janie and Sharon look at what it means to “know” Jesus as they examine Philippians Chapter 3. 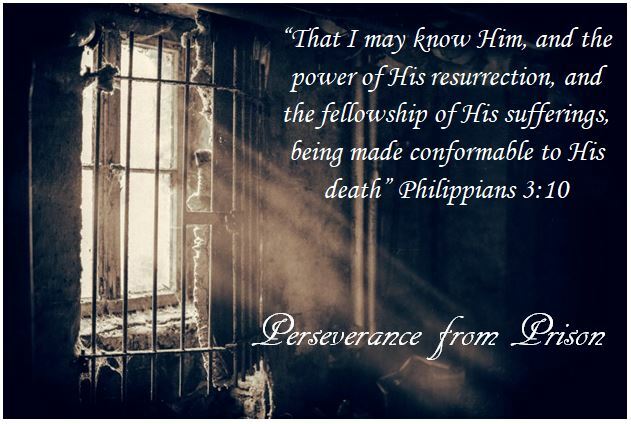 Paul writes this letter to the saints in Philippi from prison. In this part of the letter, we find perseverance being expressed. Once a relationship with the Lord is developed, then it takes perseverance from whatever prison you might be in to move on in growing in that relationship. All relationships take time, effort, interest, care, compassion, patience, etc. and definitely perseverance.